Positive (20) - 95% of the 20 user reviews for this game are positive. - Took out the scene reset F12 shortcut feature so it will not conflict with Steam's capture screenshot shortcut. - If the player has a windows username with non-English accented characters, the game will create a save folder on the root directory of that drive instead. - Experience three unique stories filled with touching romance and exciting drama in a world where human beings and androids coexist, and sometimes fall in love with each other. - Traditional visual novel with multiple endings. 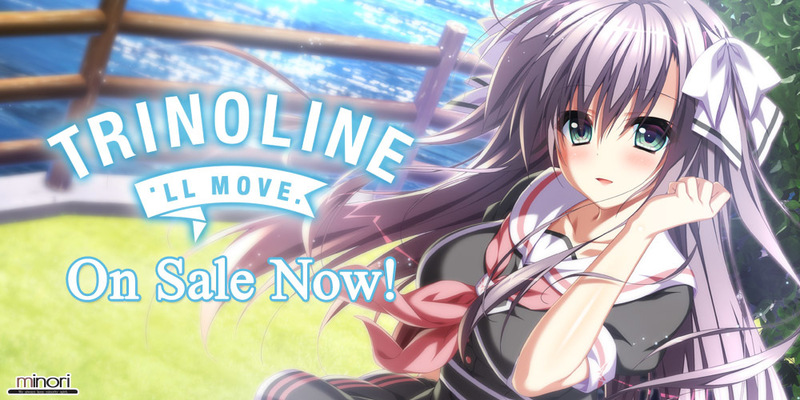 - Hundreds of beautiful CGs to explore, fully voiced heroines, and special effects which bring the characters to life such as animated facial expressions, lip sync, and more. - A soundtrack with over 50 unique songs, including a full-length, vocal opening theme and three full-length, vocal ending theme songs. One hot, midsummer's day, Shun Nanami's sister, Shirone Nanami, drowned at sea. It's a memory he will never forget; one that will forever be etched into his heart. He vows to live in her stead from then on and to make up for the life she never got to have. However, that summer was different. Shun hears a piano's melody far off in the distance--a tune Shirone always adored. He follows the sound to its source, only to find... his sister, Shirone. This title features mature content that may not be suitable for all audiences, including occasional coarse language, mild sexual references, fictional depictions of attempted suicide, terminal illness, death, human experimentation, and bodily modification. Copyright©2017, 2019 minori, MangaGamer All Rights Reserved.